India is a country of diversity. There exists a perfect fusion of modern and archaic tastes in the people here. As the global car makers are concentrating more on India, they design cars keeping in mind the requirements of the Indian customers. As the colour of the cars too plays a major role in the selection of cars, the car makers are also paying attention to the variety of colours they offer with their cars. The colour of a vehicle reflects the personality of the owner. The car owners in India have a few favourite colours and you get to see them flooded on the roads. Let us evaluate the five most preferred colours by Indian buyers across different car models and segments. This universal colour seems to be a favourite among people of all age groups. You can see sedans, hatchbacks and even SUVs of this colour. However, this is also a favourite colour of car thieves as they can quickly repaint the stolen car and hide it easily. White is also considered an evergreen colour. It can never go out of fashion and it is also available at a slightly lesser rate. Wagon R (superior white), Toyota Corolla (pearl white), Toyota Camry (super white) and Honda City (tafeta white) are some of the whites available in the country. 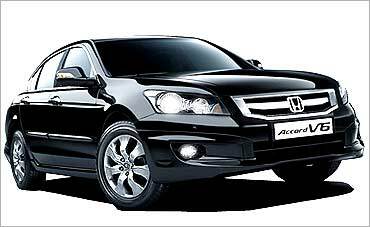 The other definite and obvious choice of many car buyers in the country is black. The colour radiates a strong sense of power and is universally loved by car enthusiasts of all age groups. Black gives a classy-look to the vehicle. Even though Indian mindsets have a certain reservation regarding black, it is vanishing as the young generation is more interested in the same. Black is also one of the most preferred colours for the luxurious brands like Mercedes, BMW, Rolls Royce etc. The colour is carving its own niche and is going higher in the most loved rankings very fast. 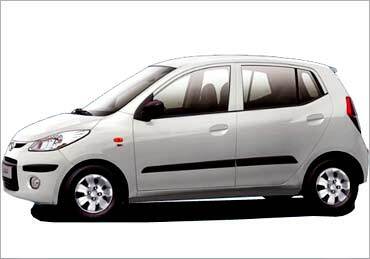 Maruti Alto and Wagon R (midnight black), Swift (metallic midnight black), Honda Accord, Toyota Camry, Honda City ZX, (Night hawk and Honda CR-V (Night hawk black pearl) are some of the blacks available in the country. This colour's popularity has been going through the roof and buyers are choosing this glossy and glittery colour over several others. Silver is a bestseller among all car models. Just like black and white this colour too suits people of all ages and cars across segments. The colour also reflects a sense of elegance and simplicity. 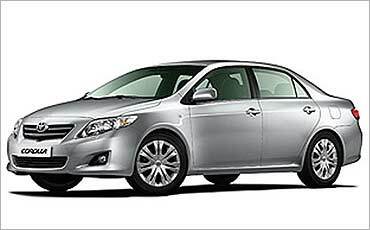 Hyundai and Maruti's new warm silver and silver metallic of Honda and Toyota are a few that are available in the market. Red is currently the favourite in the four wheel market and no car maker can imagine a model that does not have at least one shade of red to offer. Give me red! seems to be the motto of many buyers. However, red seems to have become more subtle with time and car makers have added a certain depth to this otherwise outrageous colour. 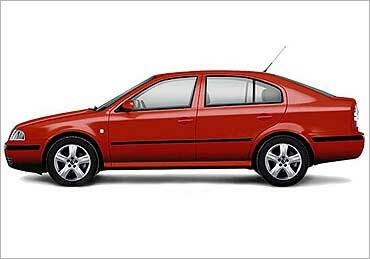 Cars like Hyundai Accents, Maruti Swift, Lancer, Skoda Octavia etc can be seen gracing the roads in bright reds. Other red beauties seen on the roads are Alto and paprika red Ford Fiesta. Darker reds like the red mica metallic works for MUVs, while Honda goes for the royal ruby red. Subtle to the core is the definition of this colour. Beige is ideal for a sub-tropical country like India. It is a fine earthy shade and is soothing to the eyes. 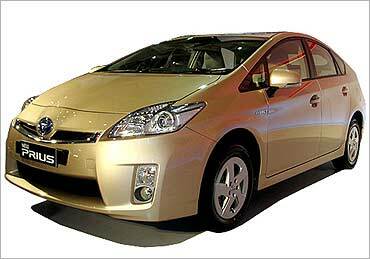 A beige car draws little attention and is synonymous to softness that many Indian buyers prefer. The real earth or grace beige on cars like Santro Xing and Getz from Hyundai, Mahindra and Mahindra's Scorpio (diamond white), Ford Fiesta (platinum), Honda CR-V (opal beige metallic), Toyota Corolla, Camry and Innova (beige mica metallic), Maruti Alto, Zen and Wagon R (pearl silver) are some of the popular beiges in the country. 10 great cars India can look forward to in 2010! 300 million Indians go hungry everyday!